My name is Brittany Wright. On Jan 4, 2011; just 2 days after our oldest son; Zachary, turned 2 he was brutally mauled by our household dog which nearly took his life. It took my mother and I to pull my pit bull/ Shar Pei mixed dog off of my son. It was the worst experience any parent would ever want to endure. We were all watching TV late that January night when Zachary decided to snuggle up with our dog like he has always done before. For some unexplained reason our dog turned for the worst. 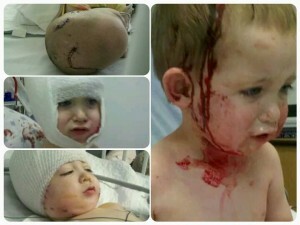 He pinned my son down to the floor locking his teeth into my son’s skull shaking him across the floor like a rag doll. My mother and i jumped up to pry the dog off. We tried everything from pounding our fists into the dogs head hoping he would unlock his jaw. I was even prying his teeth apart but nothing was working. Finally, I made a crazy decision to poke the dog in the eyes which got him to release my son, dropping him to the floor. My mother; with her adrenaline pumping picked our 45lb dog up with one hand literally throwing him outside. While she was handling the dog I was able to pick my son up holding his limp body in my arms. My first thought was that my son was dead because during the whole attack neither my mother nor I ever heard a cry from my son. 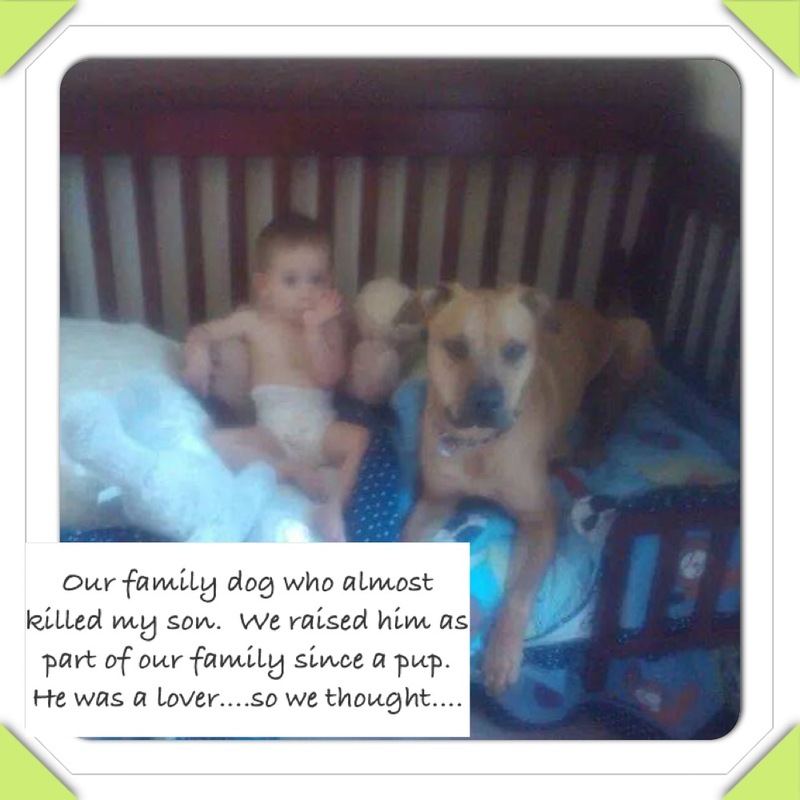 We were so worried that the dog had already killed him. So, when I was finally able to hold my son in my arms and heard him cry for the first time it was such a sigh of relief but I knew he wasn’t out of the woods just yet. I panicked screaming, “Mom he needs to go to the hospital.” He had a massive whole in his skull, flapped over skin on his face and blood just gushing out everywhere. There was so much blood we couldn’t pinpoint just where he was ripped open. In panic mode i was looking for my keys and cell phone. I don’t know what I was thinking when I was getting ready to drive him to the ER. Luckily, my mother calmed me down and said we needed to call 911. So, she took my son to the sink where she started applying pressure to the areas we could see blood gushing out while I called 911. 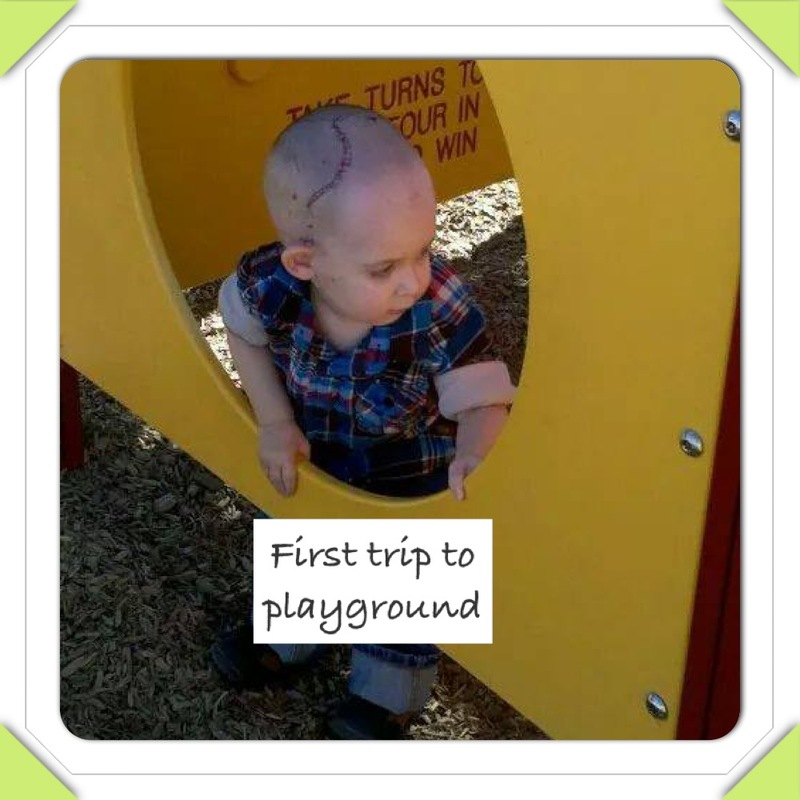 When the paramedics arrived they observed his wounds and immediately wanted to rush my son and I to Maricopa Medical Center in Phoenix, AZ since they were the best in head trauma. As they were loading him into the ambulance my son started pointing at the fire truck and in excitement starts screaming “truck, truck”. 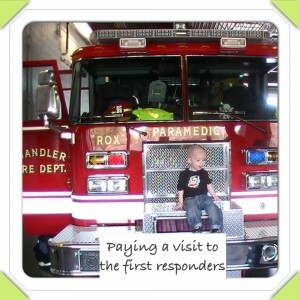 He had a huge fascination with fire trucks. So, despite all the pain he was in he was still able to be the funny little boy that I so deeply loved. When we arrived at the hospital the nurses flushed out his wounds to get a better view of what was going on underneath all the blood. That is when they decided he needed to get a cat scan of his head to make sure the teeth didn’t puncture through the skull. 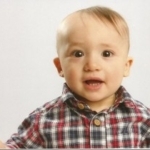 Since I was 39 weeks pregnant I had to stay in the room with doctors looking at the image of my son’s skull on the computer screen. I just remember looking at the image and seeing this massive hole thinking oh my goodness this can’t be good. Then the doctors all hovering around saying “we need to get him in surgery right now.” That’s when I began to cry but the doctor on call proceeded to tell me that from the looks of the cat scan it looks like the dog punctured through the skull and possibly into the main vein in the brain and parts of his brain. 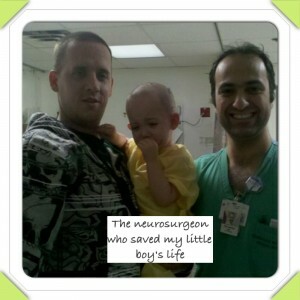 He told me that I would then have to meet with the neurosurgeon to discuss further details. When it came time for surgery the neurosurgeon was incredible. He was able to explain everything in detail so I fully understood what was going on. He kept me calm until he had to tell me the 3 possible outcomes. First outcome is the main vein is punctured which would result in death. Second outcome is parts of the brain may be punctured which will need to be cleaned out and depending on how badly damaged may result in parts of the brain being removed. Third outcome is brain and vein are not punctured so all they would have to do is clean out the inside of the skull for dog tooth fragments and dog saliva which could result in infection of the brain which is still serious. But even if he came out of the surgery alive they wanted to put him in a medically induced coma to help prevent the brain from swelling. The odds for my son were not looking good. 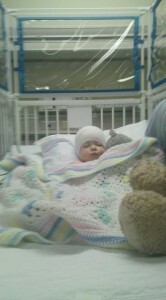 They gave him a 30% survival rate before going into surgery. I had lost it at that point. 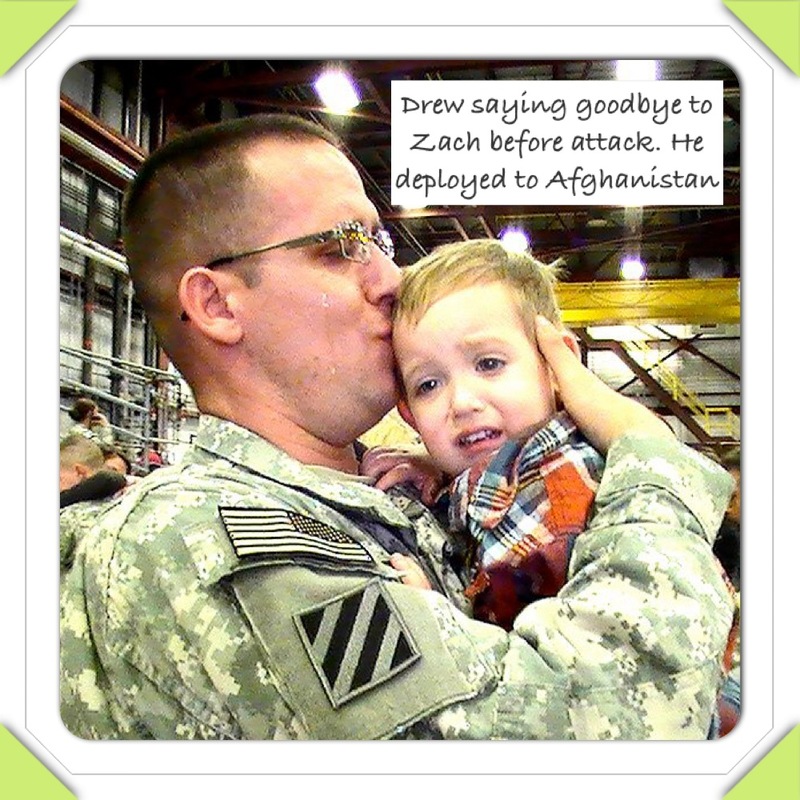 I held my son crying not wanting to let go because I didn’t know if it was going to be the last time I ever saw him alive again. Waiting for his surgery to be over was the longest time of my life. The worst part of all of this was my husband was in mid transit coming home from Afghanistan for his R&R to be at the scheduled induction of our youngest son; Skylar who was due Jan 9,2011. I made several calls to Red Cross trying to relay the message but because he was in mid transit they said it would be difficult to reach him but they tried anyways. 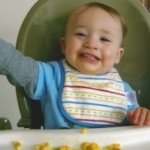 Desperate as I was I wrote my husband an email on Facebook in hopes that he would check his emails and see the bloody pictures of our son when he stopped to switch planes. That was exactly how he found out. By the time he received my email my son was out of surgery. The neurosurgeon came out with such a relieved expression. With joy in his voice he said Zachary was extremely lucky. The punctured wound came 1 cm away from puncturing the main vein in the brain. He was also lucky that no parts of the brain were damaged. The only thing he is at risk for is the infection of the brain due to dog tooth fragments and dog saliva which they had cleaned out. 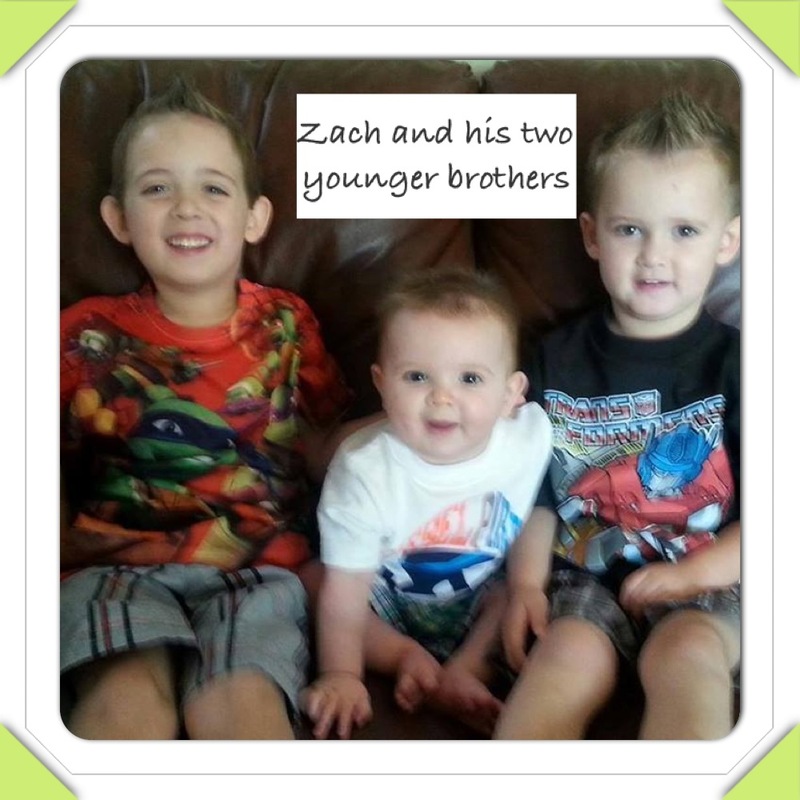 Zachary had lost so much blood he did have to undergo one blood transfusion but luckily never was put in a coma. 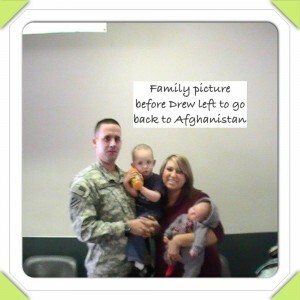 The trauma didn’t stop there for our family. While Zachary was recovering from the surgery the nurses noticed my legs swelling and advised me to go down to maternity triage. I went down 1 floor below my son. They took my blood pressure and it was through the roof. It was so high I was at risk for a heart attack. They then ran a urine sample where they found protein in my urine. I was then diagnosed with preeclampsia and hypertension. I had to be medically induced because now my unborn child’s life hangs in the balance as well as mine if I didn’t get induced. My poor mother was running back and forth between two floors checking on me and my son. My younger brother arrived at the hospital and was able to stay with Zachary while my mother assisted me in birth since my husband was still traveling back to the states. Because of the entire trauma I suffered I didn’t have the regular contractions like most women. Instead of having back or stomach labor I was having chest labor. Every time I peaked in a contraction I couldn’t breathe and my chest hurt so badly. The OBGYN was so concerned she ran an ultrasound to make sure I wasn’t having a heart attack. 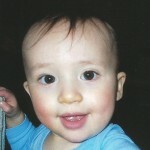 16 hrs later I gave birth to my second son; Skylar at 4:01am Jan 6, 2011. The very next day is when my husband finally arrived and held Skylar for the first time and then went upstairs to the PICU to see our oldest son. He said it was the worst feeling in the world walking into the room and seeing Zachary in so much pain. He had maxed out on his pain medication so he was extremely agitated. Zachary remained in the hospital for an entire week before being released but had to return 2 more times for suture removals from skull and face. Today my son is a happy, healthy, active 5 year old who loves to play sports, build Lego’s and learn new things. For awhile he struggled with his speech and motor skills but received great help from the Indian River School District in Watertown, NY. 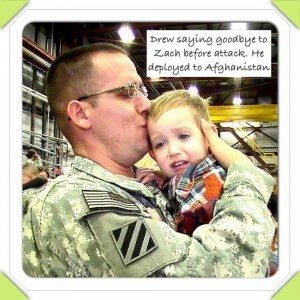 This past January my husband got out of the army and we moved back to Arizona where Zachary continued his services. Just a few months ago he was officially cleared from all his services. He will start Kindergarten this July. His accomplishments never go unnoticed in this family for he has made a remarkable recovery and continue to touch the hearts of many with his story of survival. He remembers every detail of his attack and loves to tell his story. We all must remember that dogs are animals with animal instincts. We must always be cautious and never let our guard down with any animal…that will always be my greatest regret. We love to tell his story to spread awareness since there is so much misconception about the dog’s temperament solely being reflected on how he was raised. We rescued our dog from the pound as a puppy. He was rescued by a neighbor along with his siblings when the owners abandoned all the puppies. We were told the dog was a Shar Pei mix because of his purple tongue, wrinkled face and curled tail but as he grew older he didn’t look like a Shar Pei mix. One veterinarian had suspicion he was part pit but never confirmed it. We lived on base so no dangerous dogs were allowed on housing premises so we just went with the shar pei statements the other vets had given us. After the attack occurred and seeing how our dog was latching onto my son was a distinct pit bull latch and shake move. I would describe it much like a shark attack. Nothing was going to pry his jaws apart.